« Refusing to fight in World War I: Resistance to military conscription in First World War Britain and Ireland. This is a story from the front page of the Evening Press, from just over 45 years ago. The story features details of an attempt to evict seventeen families from Caledon Road. The tenants, some whose families had lived there 60 years had vowed to resist the threats, and a meeting at the Play Centre on Russell Avenue was announced. 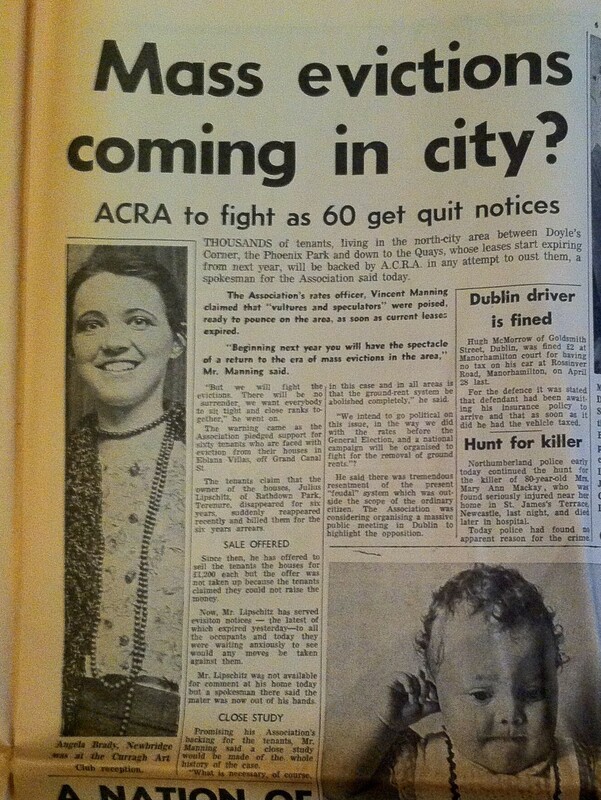 An article in the same edition featured the warning that mass evictions were expected in the city but would be resisted. “We will fight the evictions. There will be no surrender. We want everybody to sit tight and close ranks together”. 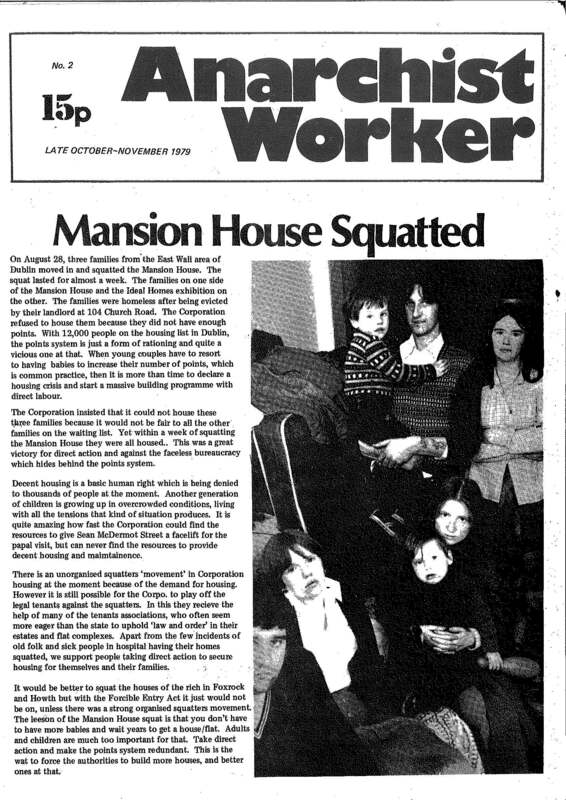 And a few years later, in August of 1979, other families facing eviction successfully occupied the Mansion House under they were rehoused by Dublin Corporation. If you have any information on these stories, the people involved or the outcome of the events please get in touch, we would love to know more. 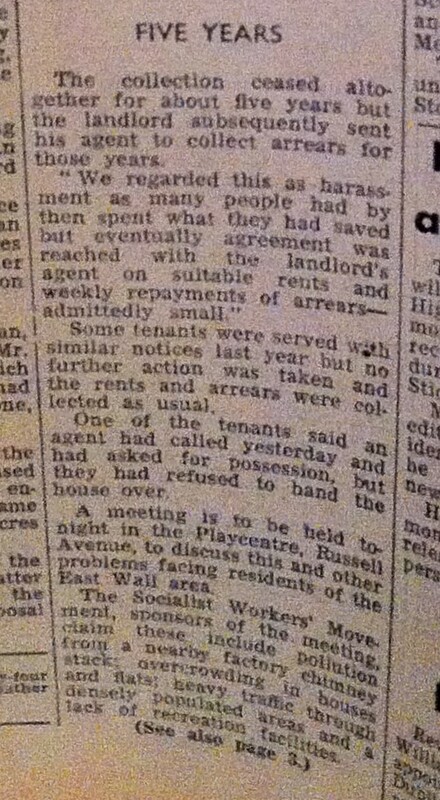 East Wall was the location of what we believe to be the largest single eviction in the history of Dublin City. 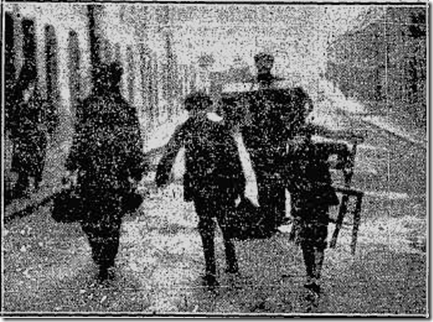 In December of 1913, during the great lockout sixty two workers and their families (up to 300 people) were evicted from company owned houses on Merchants Road. 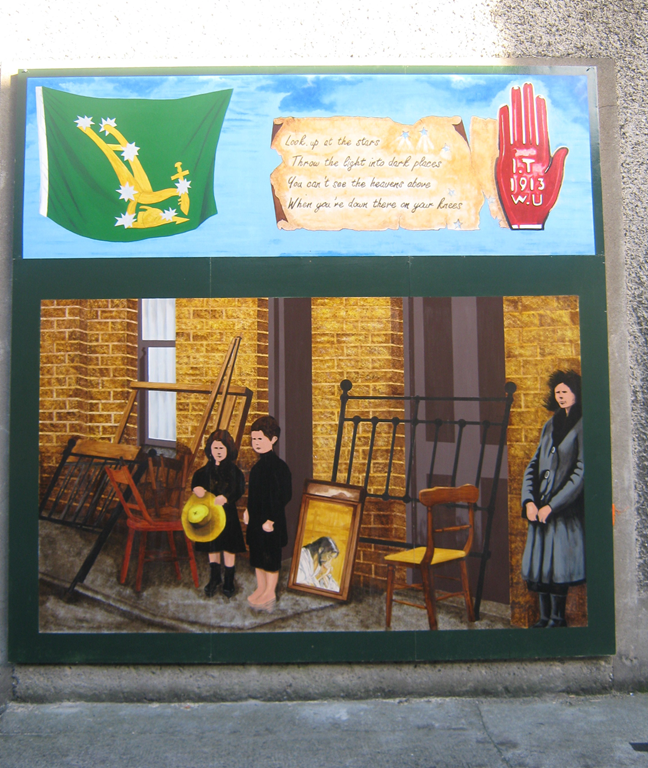 The centenary of this was remembered in 2013 by the community when a plaque and mural were unveiled by descendants of some of those evicted. 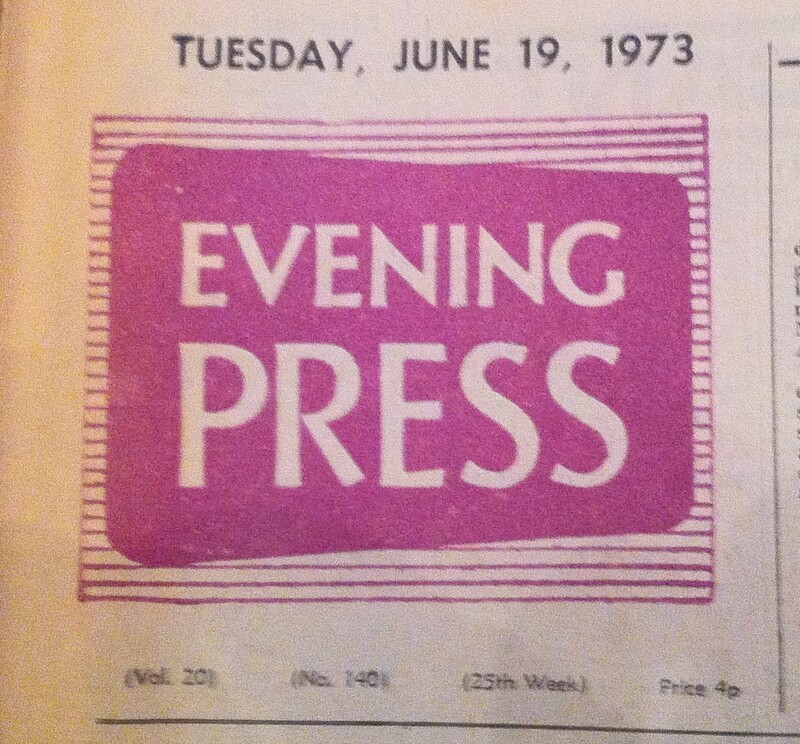 Thanks to Karl Larkin (Wilde Vintage Dublin) drawing our attention to and providing an original copy of the Evening Press from 1973. Thanks to Alan MacSimóin (Irish Anarchist Historical Archive) for the 1979 article.